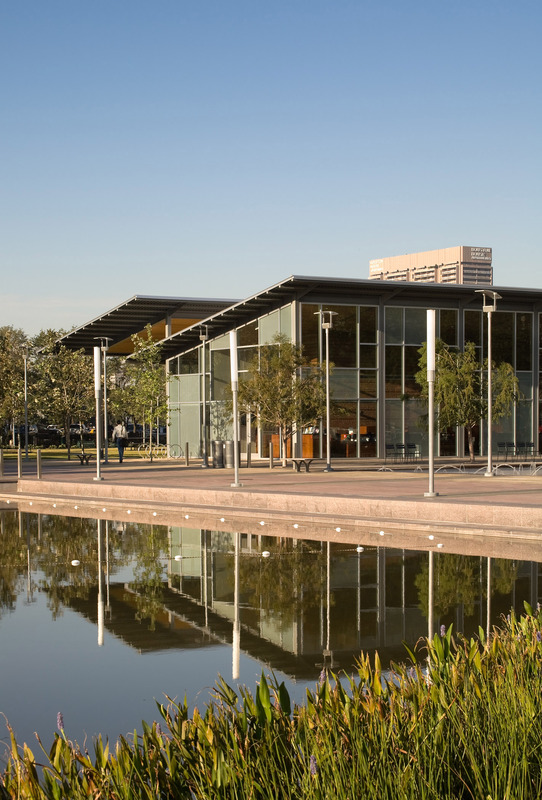 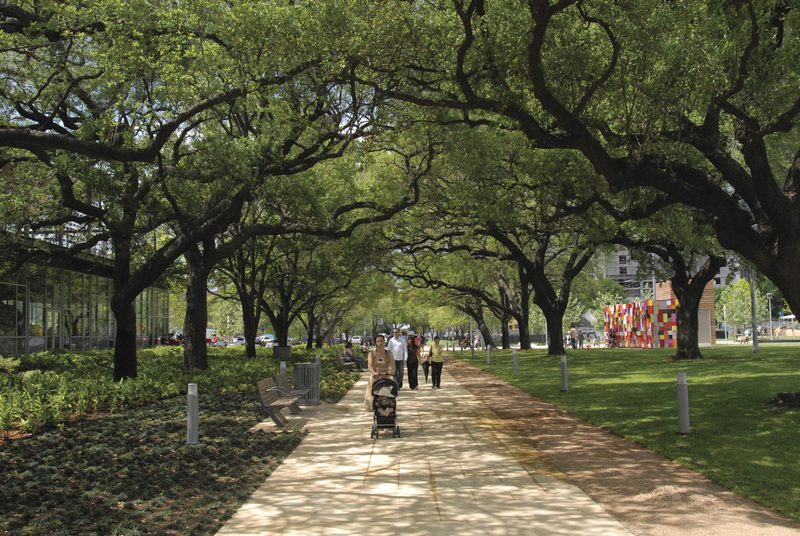 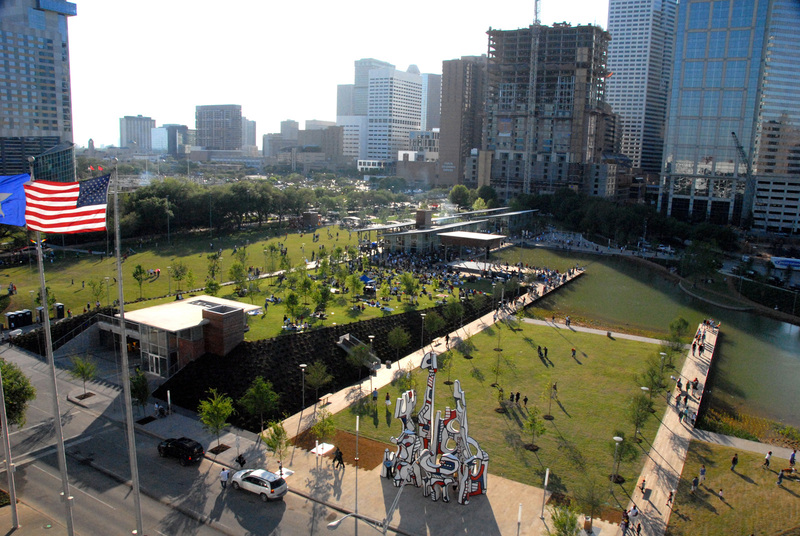 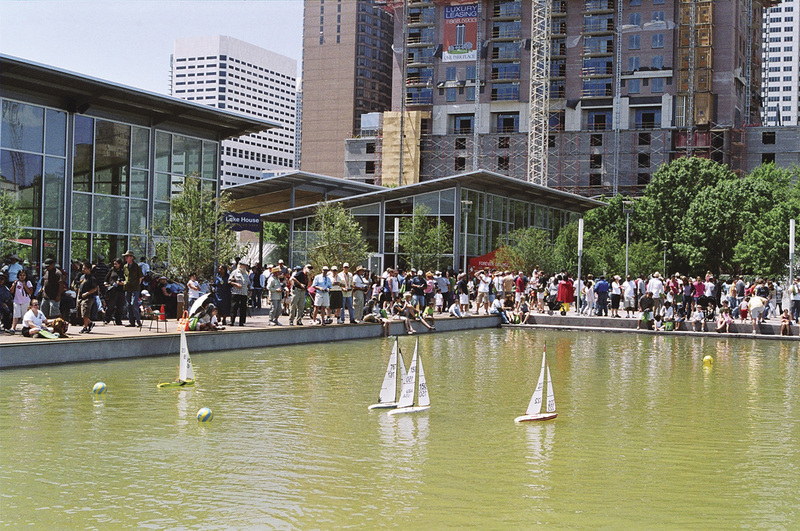 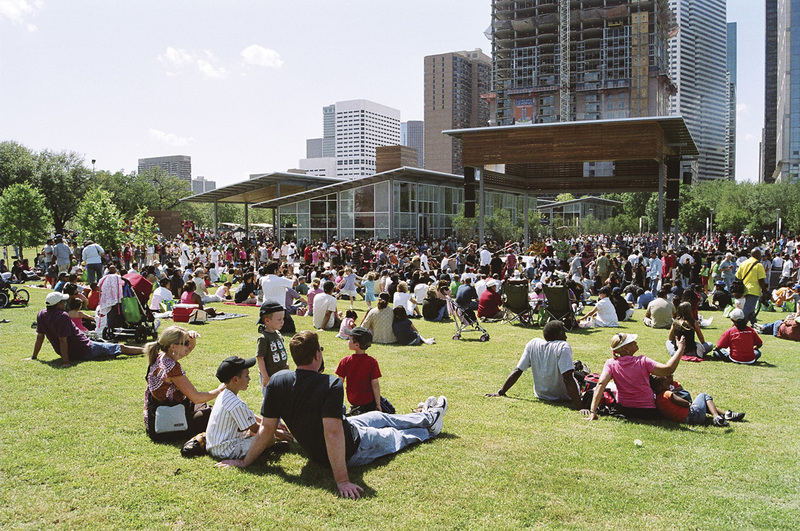 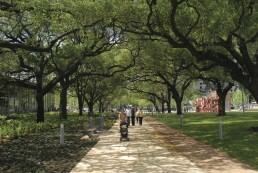 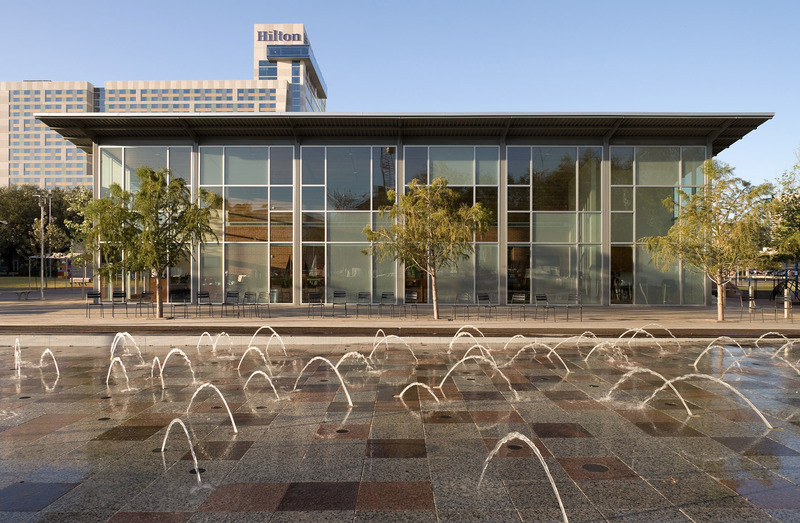 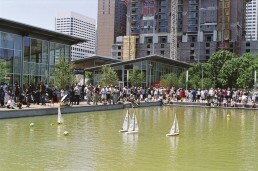 Discovery Green returns 12 acres of mostly paved lots to a natural green space in the heart of downtown Houston. A core of outdoor activity near the convention center, ballpark and arena, the park also provides a central focus for new development. 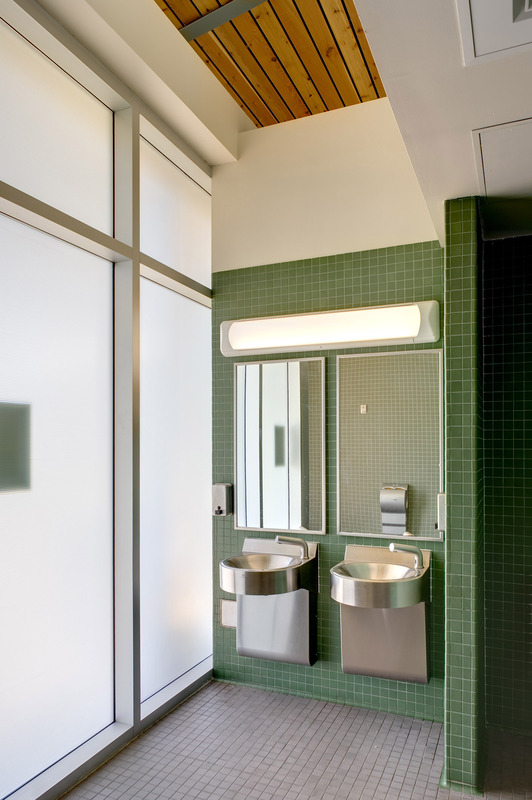 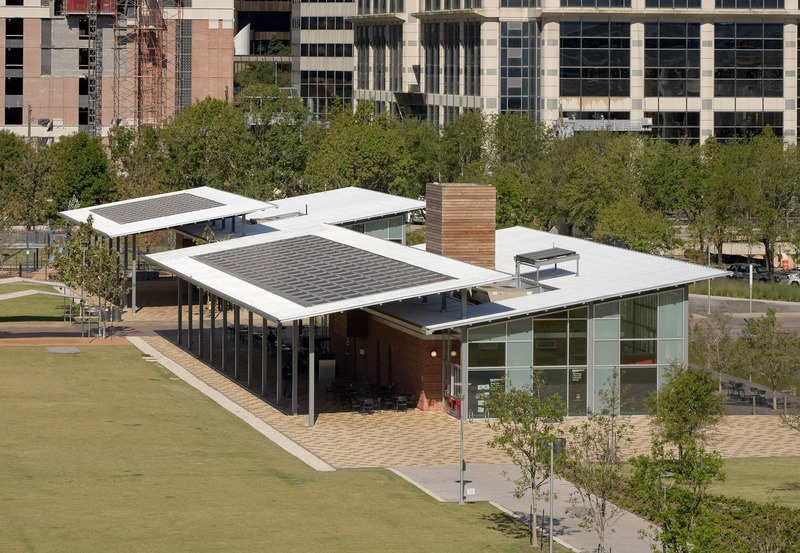 Larry Speck led the design of the park’s architecture, creating a model of sustainability. 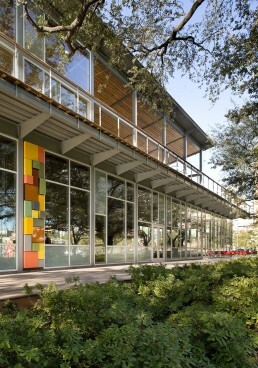 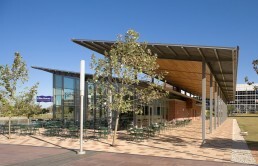 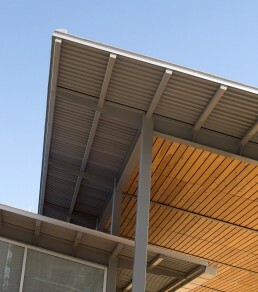 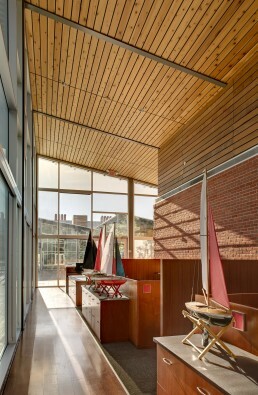 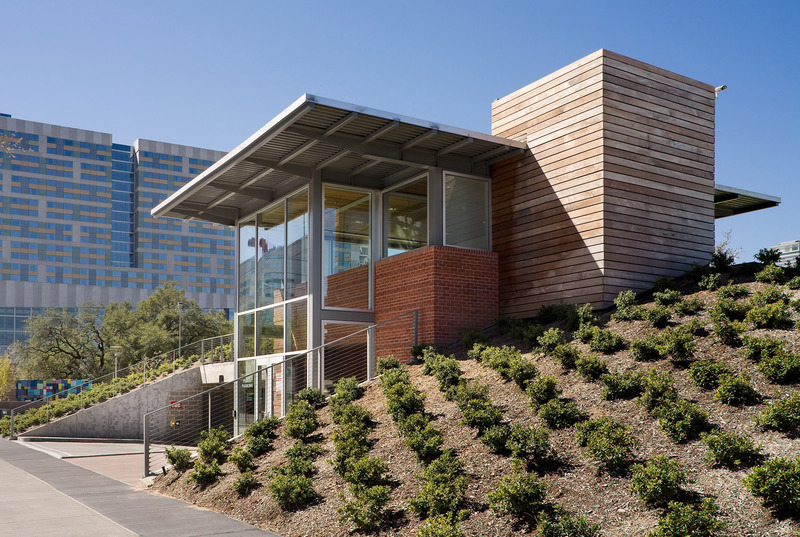 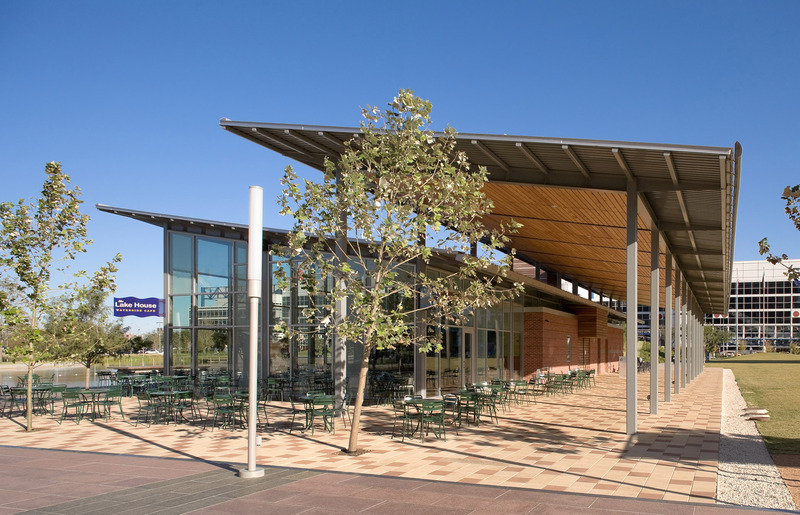 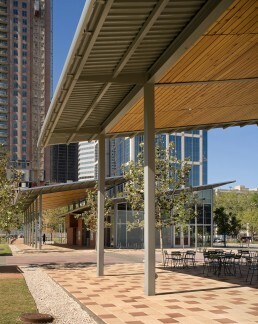 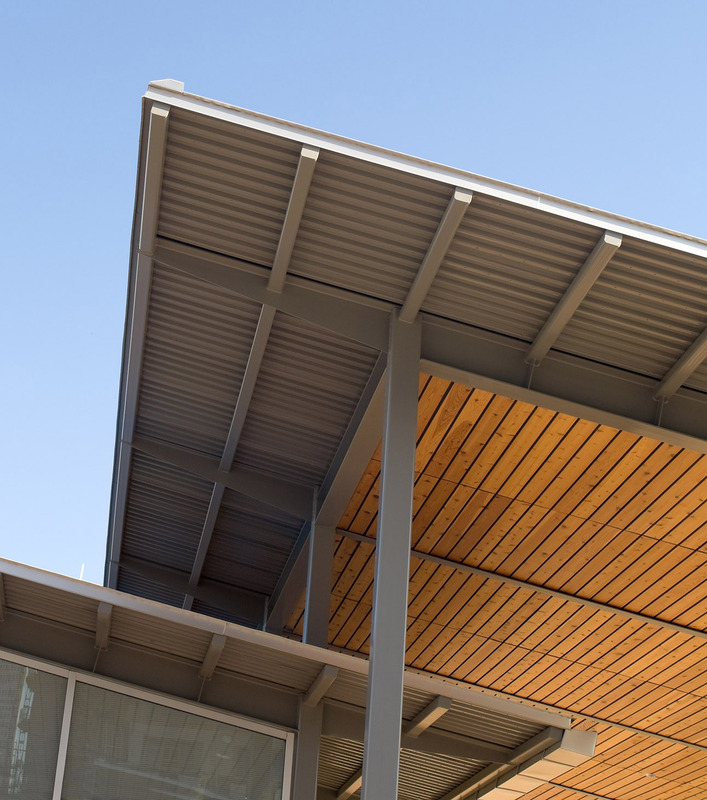 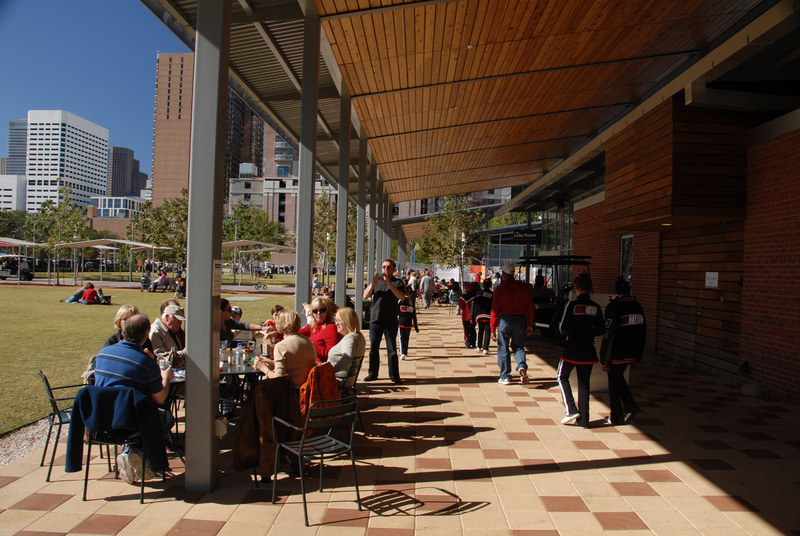 Two restaurants and a park administration building feature deep porches and roofs that pitch to the north, providing shade and balanced daylight and drawing warm air up and out. 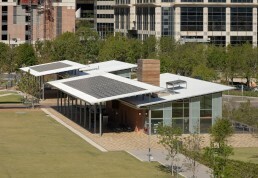 Optimal solar orientation, green roofs, photovoltaic arrays and the use of local and renewable materials further contribute to the project’s Gold LEED certification. 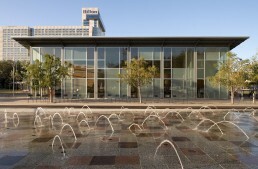 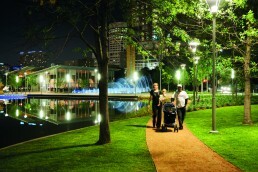 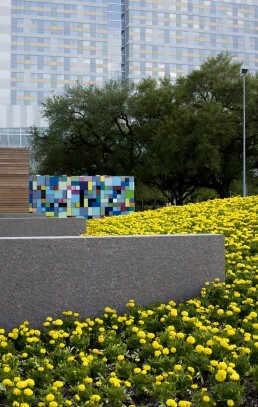 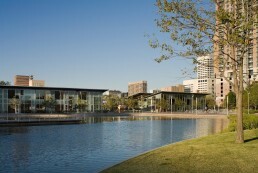 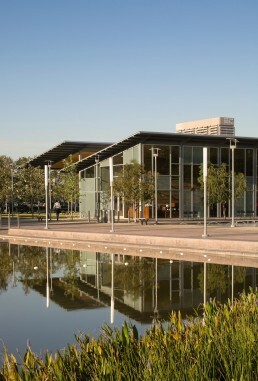 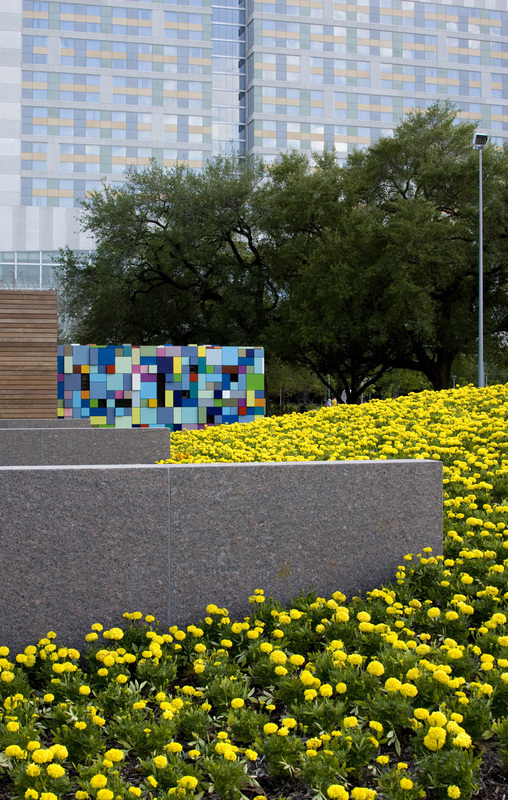 Hargreaves Associates Landscape Architects designed Discovery Green led the park design in association with PageSoutherlandPage. Other architectural elements include an underground garage for 600 vehicles, a bandstand, a children’s performance space and various shade structures.